Whether you’re an expedite owner-operator or fleet owner, your goals are similar when it comes to acquiring a new truck or van: Purchase a vehicle that can help you run your business more efficiently and cost-effectively–with maximum safety for the driver. So, what’s new in the expediter truck and van market in 2018 that impact how you achieve these goals? Here are three developments to keep your eye on. #1. Rearview cameras becoming standard in vans. In June, Bloomberg reported that the Trump administration was looking to roll back the rearview camera rule, along with some other transportation regulations. But automakers seem to be moving ahead anyway, with 2018 Ford Transit and Ram Promaster van models already offering rearview cameras as standard equipment. 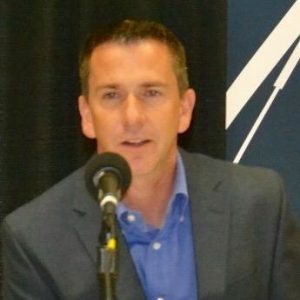 Industry consensus is that even if the Trump administration does roll back the camera requirement, automakers will likely continue to follow the rule because they operate on a three to four year product development cycle and will have already incorporated the backup cameras in their vehicle designs. How does this development impact your business if you operate expediter vans? While the camera may add to the upfront cost of the vehicle, it could also lower your total cost of ownership by reducing the risk of backup collisions. And, over time, this rule could ultimately drive down the cost of the cameras themselves. That’s because making the rearview camera standard equipment increases the sales volume of those systems, ultimately helping to lower the cost. And when cameras are installed by the factory (vs. third-party companies), it’s much easier to find an authorized OEM dealer to service and repair the system under the vehicle’s factory warranty if there are issues. #2. “Over-the-air” updates on new Freightliner Cascadia. Beginning this past fall, owner-operators and fleets with the new 2018 Freightliner Cascadia equipped with a Detroit engine have been able to use the full “over-the-air” functionality of Detroit Connect Remote Updates, including the ability to remotely and securely program select engine parameters and accept Detroit-initiated firmware updates. “By delivering over-the-air programming capabilities, we are giving fleets the tools to maximize uptime and optimize vehicle performance, while reducing the need for our customers to pull into the shop and plug in every time they want to change a parameter, upload a firmware update, or download a Detroit Diesel Electronic Control (DDEC®) report,” said Lauren Attinasi, product strategy manager, connectivity at Daimler Trucks North America. The engine parameter programming capability gives customers the flexibility to build their own parameter profiles using the Detroit Connect portal, which they can use to update one truck, a set of trucks, or their whole fleet at once. Some of the parameters that can be updated include maximum road speed, maximum cruise speed, idle shutdown time, and idle shutdown minimum/maximum ambient air temperature. And with remote updates, Detroit engineers can send firmware updates “over-the-air” to electronic control modules on Detroit-powered new Cascadias. Owner-operators and fleet owners are notified through the Detroit Connect portal when a firmware update is available and given a detailed overview of the change. Upon owner approval, the encrypted, truck-specific firmware packages are transmitted directly to the selected vehicle and, from there, the driver can accept the final firmware installation once parked in a safe location with the engine off. This is an important development because the ability to update the truck’s software and firmware over a wireless connection–instead of having to take it to the shop–enables you to reduce downtime, while keeping your truck (or trucks) on the road making money and operating as efficiently as possible. And as the value of “over the air” updates is proven on new Detroit-powered Cascadia models, expect to see this type of technology becoming more prevalent with other truck manufacturers in the near future. 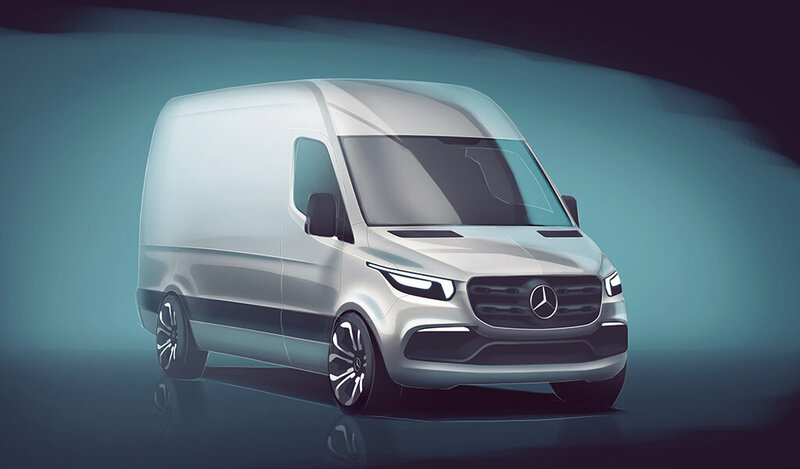 At the first North American Commercial Vehicle Show (NACV) in Atlanta in September, Mercedes-Benz Vans unveiled the first details of its redesigned Sprinter van for 2018. The market launch will begin in Europe in the first half of 2018, with other markets, including the U.S., to follow shortly. The Sprinter van is one of the most popular cargo vans for the expedited trucking sector, along with other high-roof Euro-style vans, like Ford Transit and RAM Promaster. So, this is an important development for two key reasons. First, if you’re looking to replace your van within the next six months or so, you may want to watch for more details on this product as it comes to market in the U.S. How will the new styling and powertrain options enhance aerodynamics and fuel economy? What driver-assistance systems will be available for Sprinter? Which of those systems will be standard and which will be options? And, second, how will manufacturing the van in the U.S. actually impact pricing? In theory, this should make the vehicle more affordable. So, watch this space.